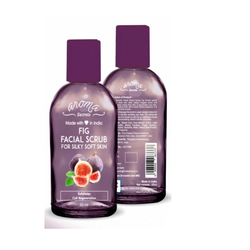 We are an eminent name, which is engaged in delivering Face Scrub at clients' premises. The offered range of face scrubs is formulated using high grade ingredients such as vitamin E, C, B3, allantoin, chocolate, jojoba oil and almond oil. This range is known for catering the demands of people having sensitive skin. The offered range is also known for its skin-friendly nature. Being one of the reckoned enterprises in the market, we are offering an optimal class gamut ofFig Facial Scrubto our patrons. 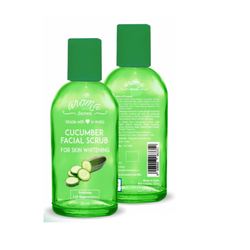 Glint Cucumber Scrub is carefully formulated with traditional and pure ingredients. It contains cleansing agents to remove dirt, grease and dead skin cells, leaving your skin refreshed, clean and clear. 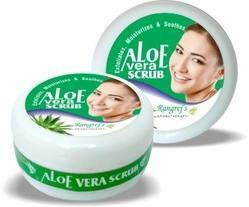 Our organization is foremost manufacturers of Facial Scrub include a wide range of scrubs. Our products are extremely effective, natural and safe. Being one of the reckoned enterprises in the market, we are offering an optimal class gamut ofAloe Vera Facial Scrubto our patrons. 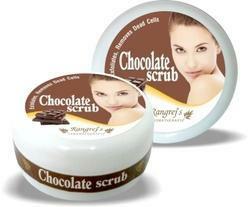 With main motto of optimum customer-satisfaction, we are offering them Chocolate Face Scrub. We are a client-centric organization and brought this product into the market with assurance of higher effectiveness. For manufacturing this scrub, we used quality-assured natural ingredients such as vitamin E, C, B3, allantoin, chocolate, jojoba oil and almond oil. Achieving crystal clear skin is now made easy with Nutriglow Sandal Magic Scrub. The incrediblemoisturizing effects of jojobahas been used for almost all kinds of skincare products so that you can enjoy a body that feels softer every day.